Is There a Market for Furnished Rental Properties? 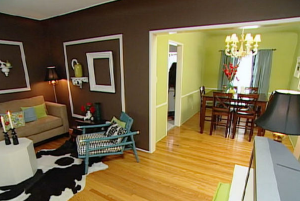 Do you furnish your rental properties or have you ever considered it? What are the advantages and disadvantages? We’ve looked around and found that while the vast majority of landlords rent their properties without furnishings, some find that doing so gives them an advantage for a niche that works. •	Higher rent: In some areas, furnishing a rental property can as much as double the rent. •	Higher-end tenant: With the right location, amenities and furnishings, you could attract a higher-end tenant, such as relocating executives or long-term vacationers with money to spend on a nice place. •	You’re covered: Security deposits don’t usually include the value of the furnishings (that would be cost prohibitive for most tenants), but in case anything is damaged or needs to be replaced, your insurance policy should cover it. Check with your agent. • More headaches in the maintenance department. You’ll need to add cleaning, repairing and replacing furniture to your maintenance list. •	Inventory troubles: Documenting the condition of furnishings at move in and move out times will be added work. Consider that many furnished rentals also include dishes, kitchen tools and silverware, and you can see that keeping inventory could be tedious. More stuff means more things to go missing, too. • Short-term tenants. Folks who are looking for furnished apartments are not usually long-term lease signers. They’re often starting a new job in a new place, starting over in their personal lives, or in a temporary living situation due to an emergency. As with anything, if you invest too little in your furnishings, you’ll probably have to replace them more often. On the other hand, it doesn’t make sense to spend a lot on furniture, electronics and lighting that could be subject to abuse. Think about your target market. If you’re going for lower-income tenants, you won’t be able to afford expensive furnishings. If you’re targeting executive, vacation or high-end tenants, they will expect nice furnishings—and be willing to pay for them. If you’d like to gauge the demand for furnished rentals in your area, talk to local real estate agents. They often specialize in corporate relocations, or could refer tenants who are buying in the area but haven’t found the right property yet.